An extraordinary book for anyone eager to understand the hidden motives that shape our lives We are all storytellers-we create stories to make sense of our lives. But it is not enough to tell tales; there must be someone to listen. In his work as a practicing psychoanalyst, Stephen Grosz has spent the last twenty-five years uncovering the hidden feelings behind our most baffling behavior. 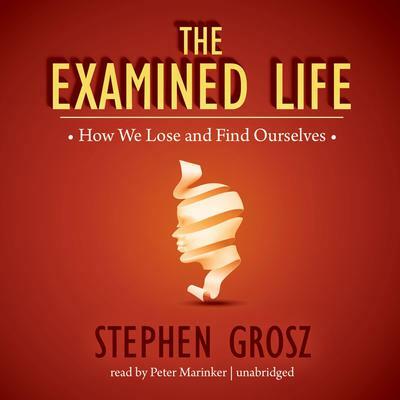 The Examined Life distills more than fifty thousand hours of conversation into pure psychological insight without the jargon. This extraordinary book is about one ordinary process: talking, listening, and understanding. Its aphoristic and elegant stories teach us a new kind of attentiveness. They also unveil a delicate self-portrait of the analyst at work and show how lessons learned in the consulting room can reveal as much to the analyst as to the patient.These are stories about our everyday lives; they are about the people we love and the lies we tell, the changes we bear and the grief. Ultimately, they show us not only how we lose ourselves but also how we might find ourselves.